The UN estimates that food production will need to increase 70 percent by 2050 to feed the world population of 9 billion expected by that time. Its first report on the worlds land and water resources for food and agriculture finds that growth in agricultural production is slowing down in many places, putting the worlds future food security at risk. 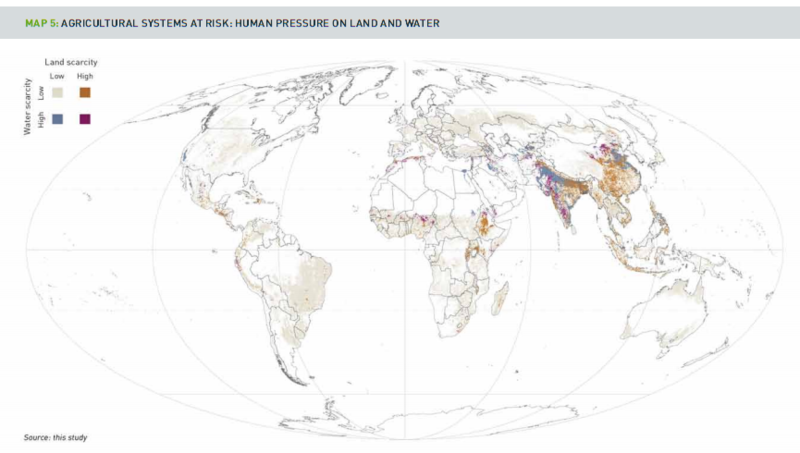 Unsustainable agricultural practices and population pressures are constraining land and water resources around the world, compromising key agricultural systems. Less than half of the worlds land is stable or improving in quality; a third is degraded to some degree and a quarter is highly degraded. While input-intensive, mechanized agriculture has allowedagricultural production to grow between 2.5 and 3 times over the last 50 years while expanding cultivated land area by only 12 percent, cultivated land area per person is declining with population growth and is not equitably distributed. Cultivated land is both scarcer and less suitable for agriculture in low-income countries than in high-income countries, and lack of access to land and water resources is strongly associated with poverty. Among the risks to agriculture are floods and sea-level rise, water scarcity, pollution, and desertification and drought. Climate change, socioeconomic changes, and competition with other sectors for land and water resources stand to further constrain food production. 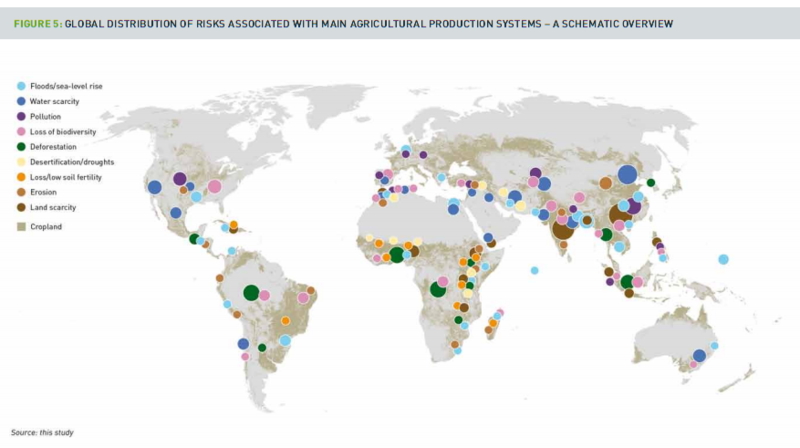 A current agriculture development analysis lead by FAO.